Bessie lLee Savoy obituary. Carnes Funeral Home. 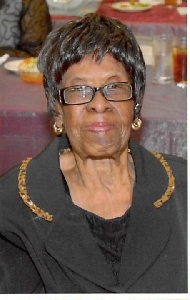 Bessie Savoy, 91 of Texas City, Texas passed away peacefully surrounded by her family on December 3, 2018. She is preceded in death by her parents, (2) brothers, sister, and husband Murphy Savoy Sr. She is survived by her (2) sons Murphy Savoy Jr. and Anthony Savoy (Bill), (2) daughters Ruby Jewel Savoy and Edith (Floyd) Ferguson. (7) Grandchildren, (14) Great grandchildren, (2) sisters-in-law and a host of nieces, nephews and other relatives. A Life Celebration Service will be held Saturday, December 8, 2018 at The Greater Bell Zion Baptist Church, 5917 Carver Avenue, Texas City, Texas. A visitation will begin at 10:00 am followed by the service at 11:00 am. Burial will follow at Mainland Cemetery in Hitchcock, Texas.